Building a brand is costly especially in food businesses where trust and quality are more important. It requires power of promotion. However, we started to produce şalgam, one of the traditional taste of Adana and the region, in our integrated facility of 500 sqm. and launch it in modern bottle. Then we moved to the new plant we built on 15 thousand sqm. land in Adana Haci Sabanci Organized Industrial Zone. 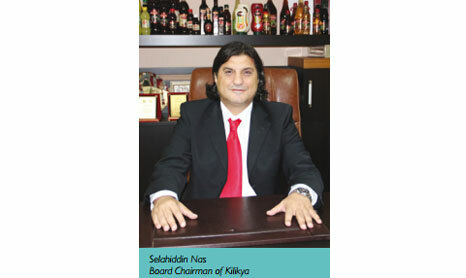 An investment of about 8 million dollars, the factory can now produce 3 million liter of şalgam per month. We consider first to process milk. Afterwards we decided to produce a local product and to expand its market in Turkey. We want to introduce it to world markets as well as an indispensable offering for meals and tables. The growth we have been experiencing is a good sign of our success.We have necessary certificates and standards for our product and production processes. We have about a 15 % share in domestic market and our product is sold on the shelves of national and international retailers. We follow the developments in markets in the fairs, both in Turkey and abroad. We try to make şalgam to be considered as a national drink. Kilikya brand products are sold through 110 distributors and exported to 30 countries, includi n g European, Middle Eastern countries, the USA, England, Japan, China and others. Farmed in natural conditions, purple carrots first washed in our plant and than they are chopped and sent to fermentation tanks. Bulgur, that is also produced organically, is added to fermentation. In about 45 days fermentation is over and after tests and controls, the drink is filtered and filled into bottles under hygienic conditions. Şalgam regenerates the body cells and helps to digestion. It improves immune system, helps to lose weight. Contains milky acids, phosphor, calcium and potassium. It seduces, is good for teeth, bones, skin, heart, kidneys, stomach, liver and lungs. It is anti-tocsin and contains A, B, C vitamins. Wikipedia defines şalgam as a popular beverage from southern Turkey’s cities of Adana and Mersin. Although the Turkish word şalgam literally means “turnip”, şalgam is actually made with the juice of red carrot pickles, salted, spiced, and flavored with aromatic turnip fermented in barrels with the addition of ground bulgur. It is traditionally served cold in large glasses with long slices of pickled carrots, called tane (or in some accents, dene.) Hot paprika relish is added just before drinking. Hot or regular, it is a popular drink with Adana kebab.